Perfect gifts for all good food lovers! 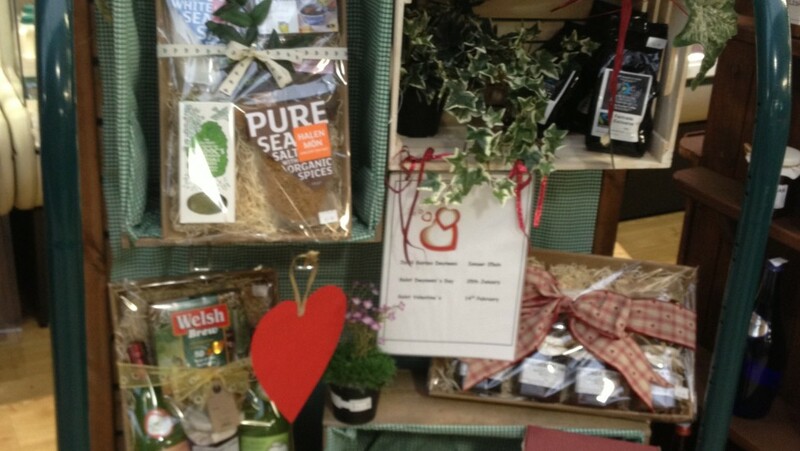 Experience the true flavour of Wales with a Hamper filled with the best Welsh produce. Food hampers make for a fantastic and thoughtful gift for any occasion. We have a range of various sized hampers available to buy ready-made, or why not come in and choose your own ingredients and we’ll make it up for you. You can also order our Hampers to be delivered anywhere in the UK…just send us details of what you’d like in the email form on our contact page, and we can call you to confirm and take your payment over the phone. Or why not buy someone a Hooton’s Homegrown Gift Voucher and let them choose for themselves…available in denominations of £5, £10 and £20, valid for one year from the date of purchase, and available to spend in either of our Farm Shops and in our Café. These are available to buy in store or online. Please see our Gift Voucher Terms & Conditions. Perfect gift ideas for any good food lover! For all you lucky people holidaying in beautiful North Wales, we can provide a welcome box of delicious local produce to kick start your holiday. Our Breakfast Box includes Home-cured Bacon, Welsh Free-Range Eggs, Locally baked bread, Welsh Butter, Homemade Jam and Marmalade, Homemade Welsh Cakes, Welsh Milk, and Welsh Brew Teabags. Available to order by email or telephone. Please note there is a minimum spend of £10 so one £10 voucher must be included with every order.